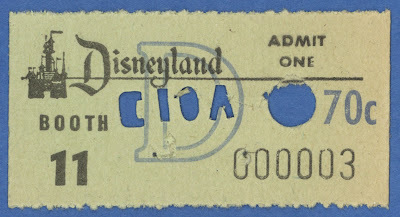 Taking another look at Disneyland’s “Stub Style” tickets, today we’ve got a vintage “D” Ticket. 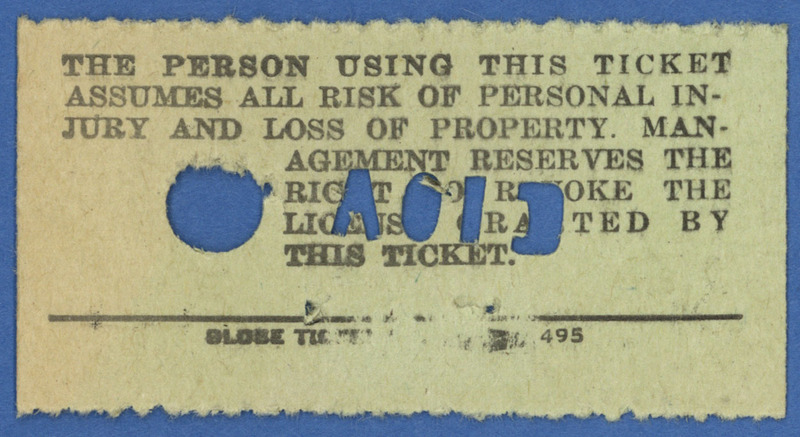 This ticket appears to have been a sample, was punched void and has staple holes. The “D” stub ticket above was probably in one of Disneyland’s magical “ticket binders” which were used at one time to determine the authenticity and value of the old tickets. 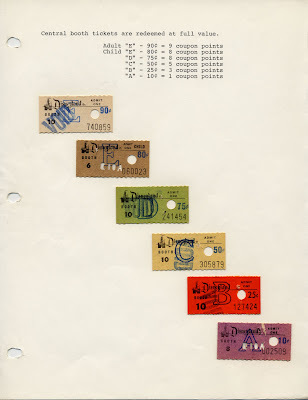 This page from the “ticket binder” shows the trade in value of the “stub style” tickets. 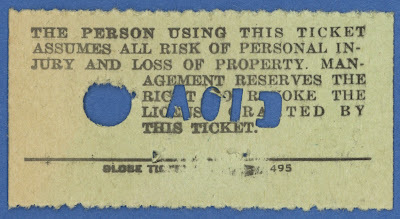 I’ll have a post in the near future that explains (in nauseating detail) how the ticket redemption program worked.